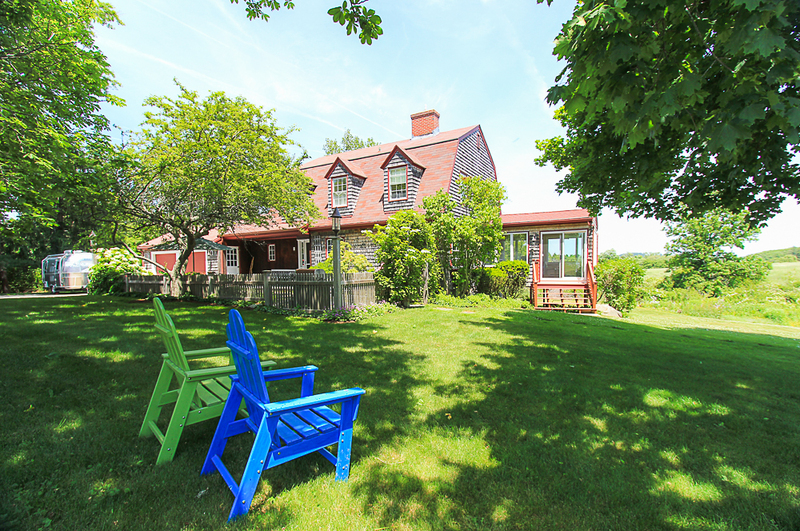 This is perhaps one of the most idyllic settings on the North Shore. 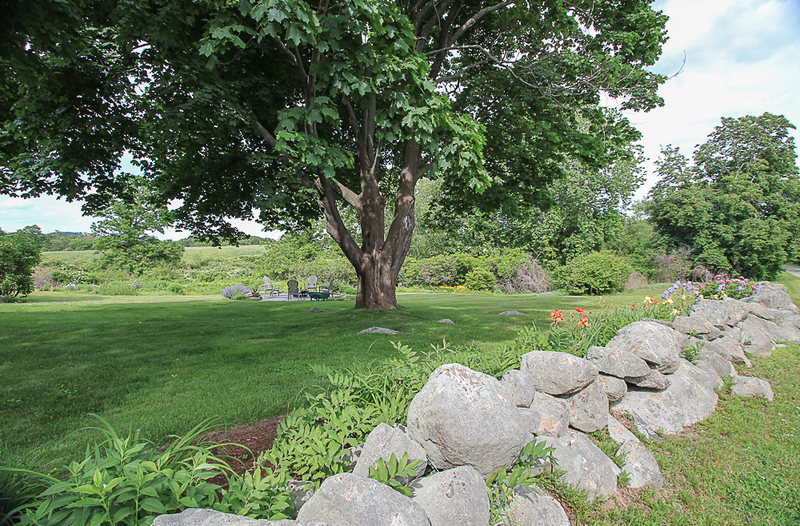 Part of the original Cogwell’s Grant, and an 82 acre farm, it is now sited on 1 acre and is surrounded by protected land. 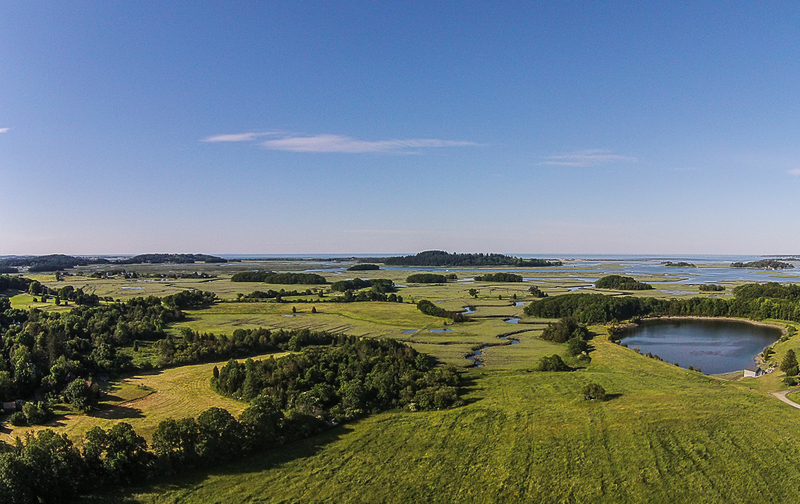 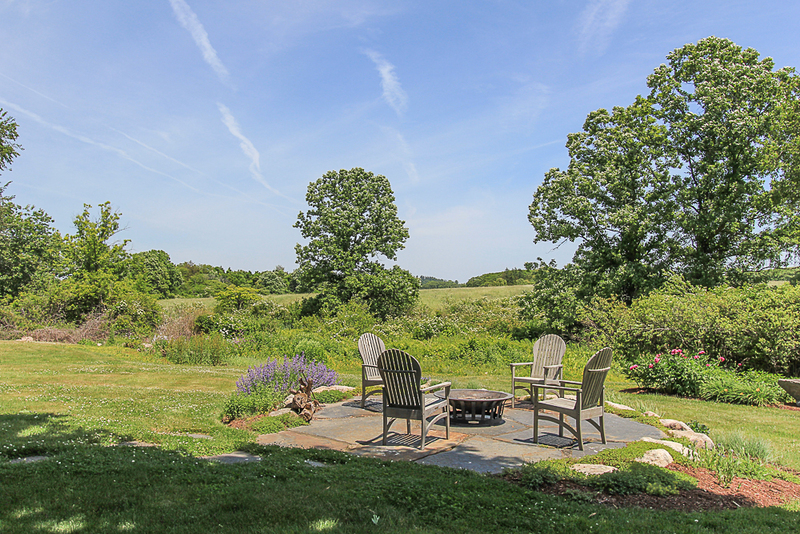 This property has expansive marshland and tidal estuary views with distant peaks of Crane Beach, Hog Island and a nearby pond. 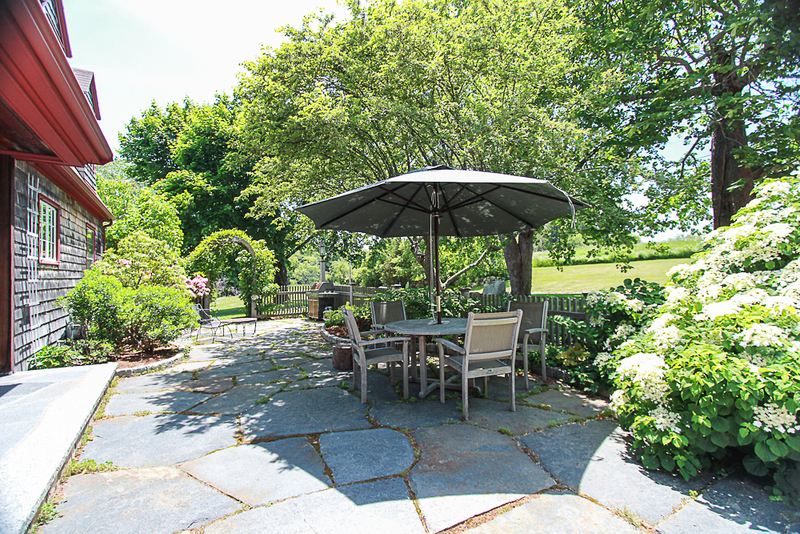 The professional landscaping by Rue Sherwood, blends with the natural landscape and is highlighted by the Goshen slate patio, raised fire pit garden and plantings that run dramatically along the stone wall. 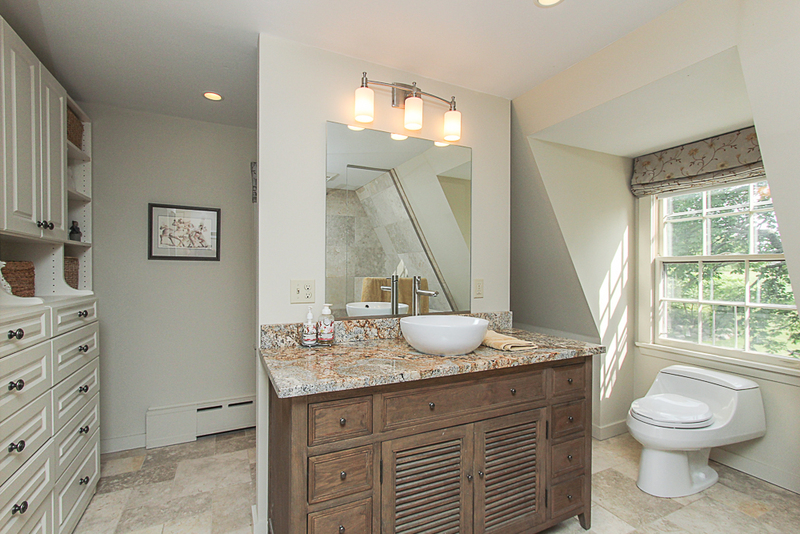 This is a home with fine details and finishes throughout. 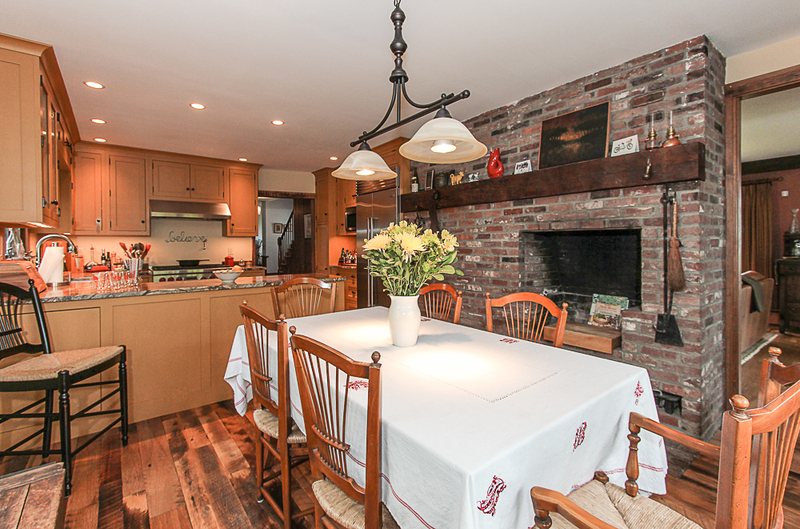 The striking well planned eat-in kitchen has beautiful reclaimed barn board floors, Crowne Point cabinets, granite counters, farmhouse sink and a brick fireplace. 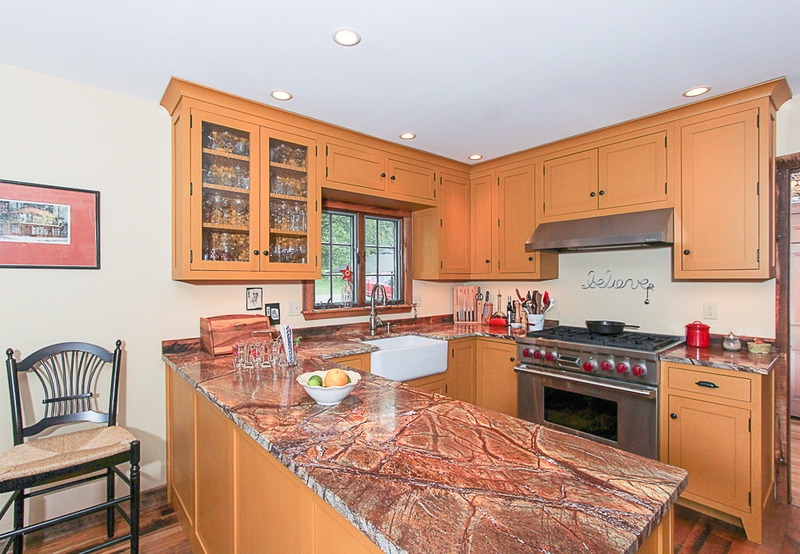 There are stainless appliances and a fabulous gas range. 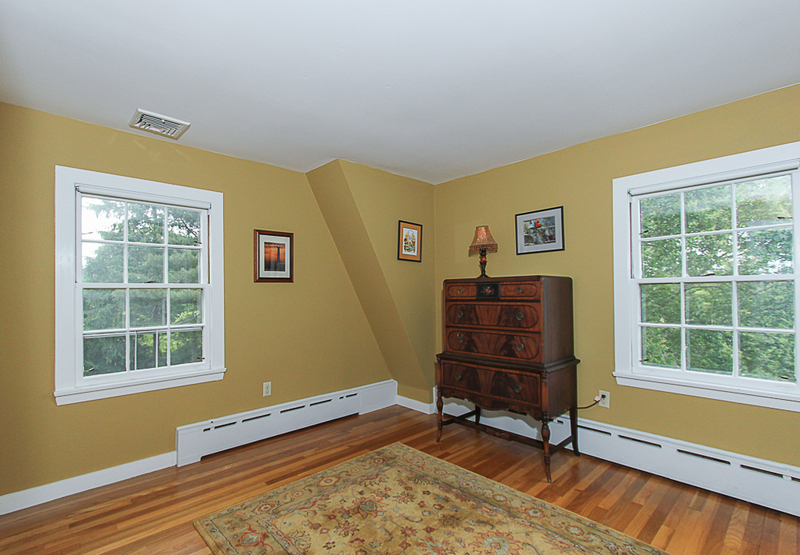 This room enjoys both the morning and afternoon sun. 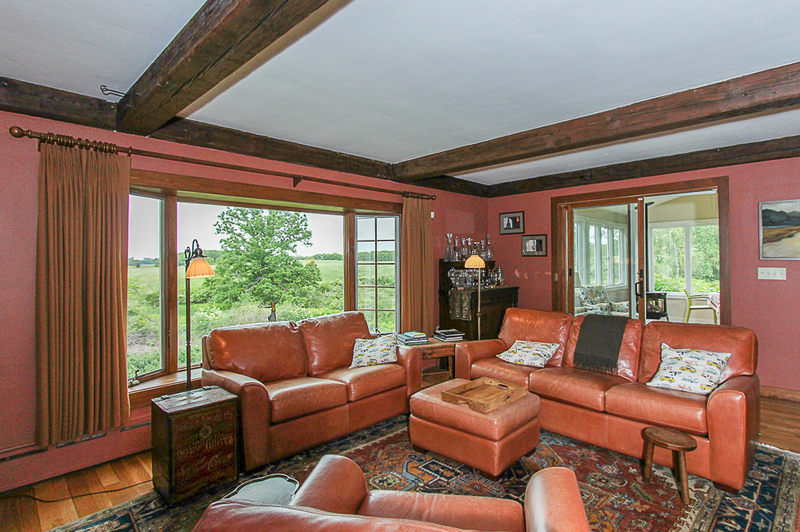 The living room has a wood burning fireplace and hardwood floors. 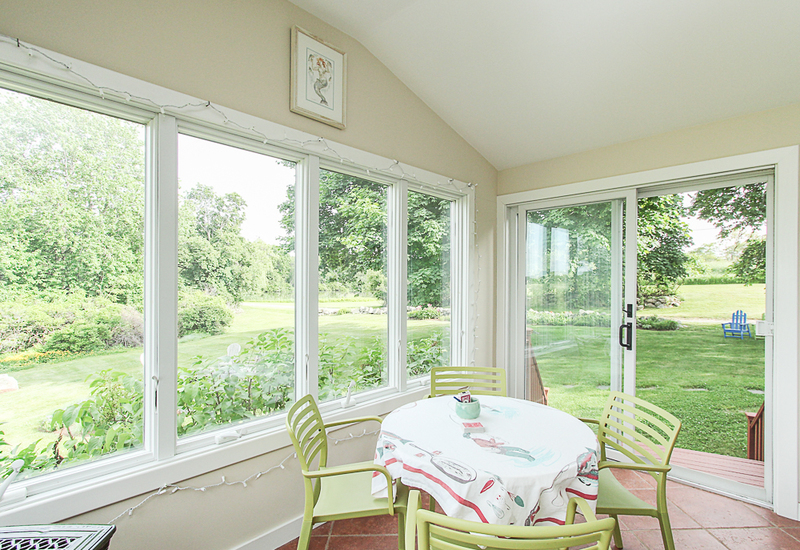 A slider leads out to the four season sun room with a tile floor, gas stove, vaulted ceiling and sliders to the garden. 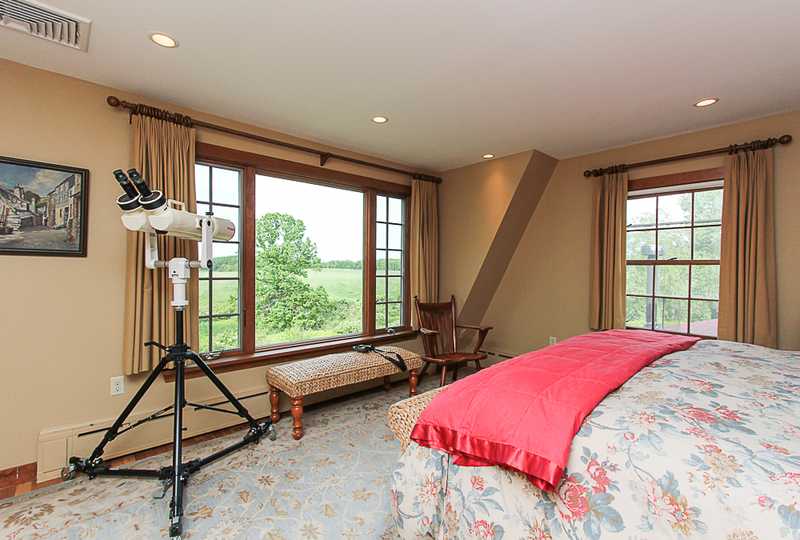 Both of these rooms have large windows and are oriented towards the spectacular views. 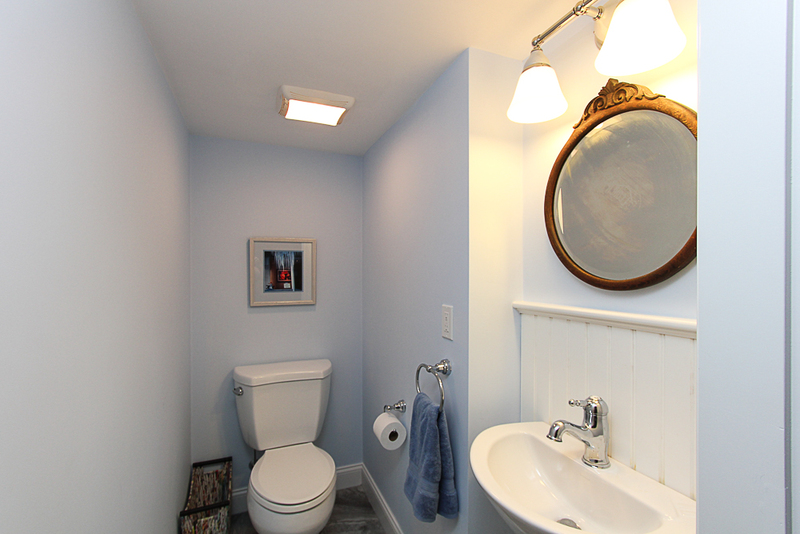 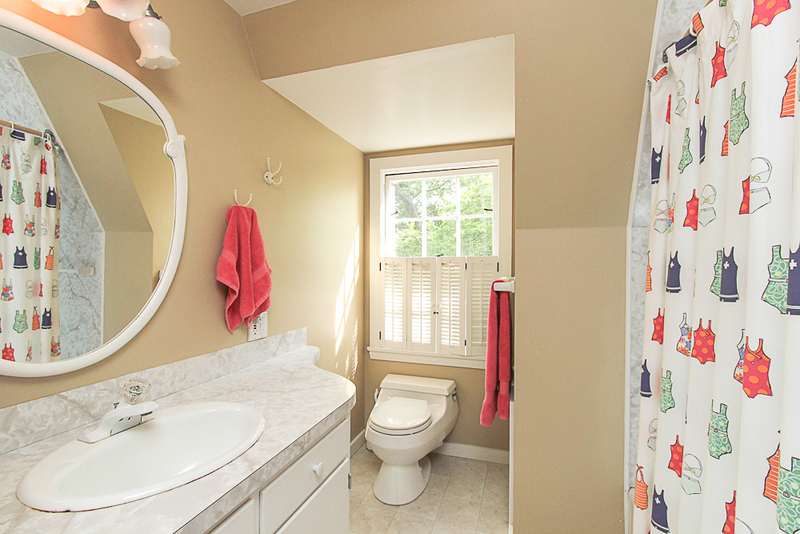 Also on the first floor is a combination laundry room and half bath. 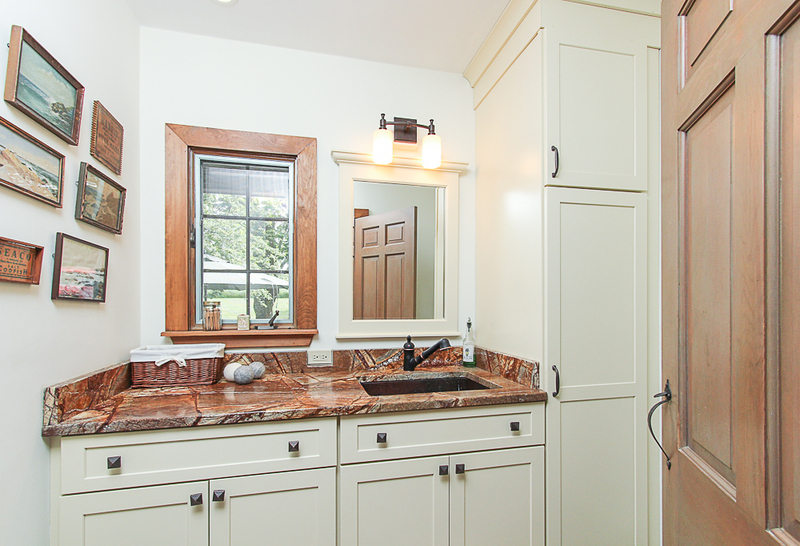 This room has custom cabinets and granite counters and a window that looks out to the patio. 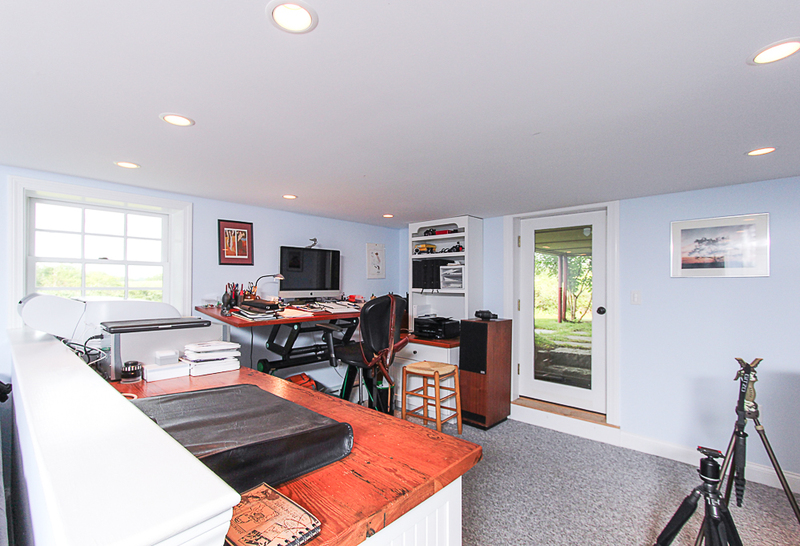 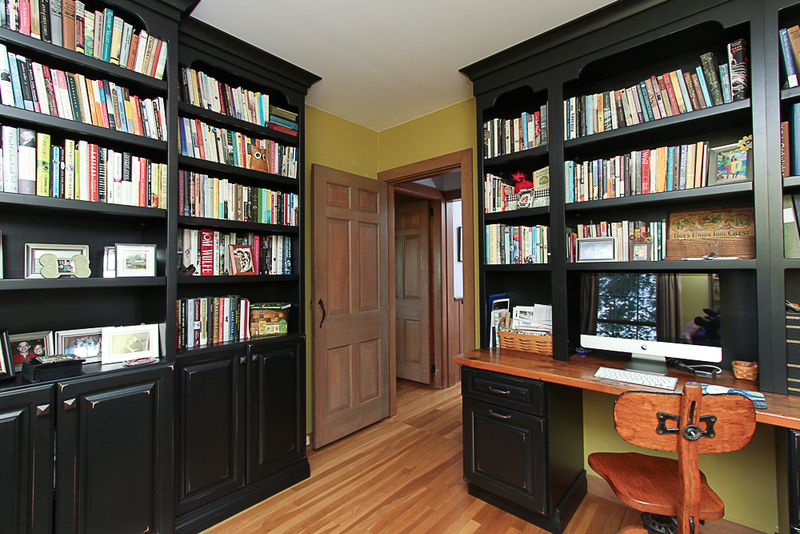 The office has hardwood floors and extensive built in cabinets and bookcases. 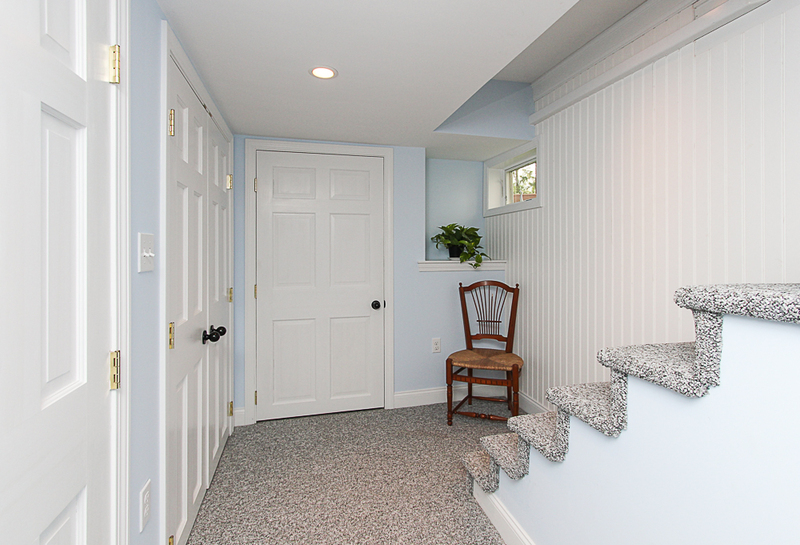 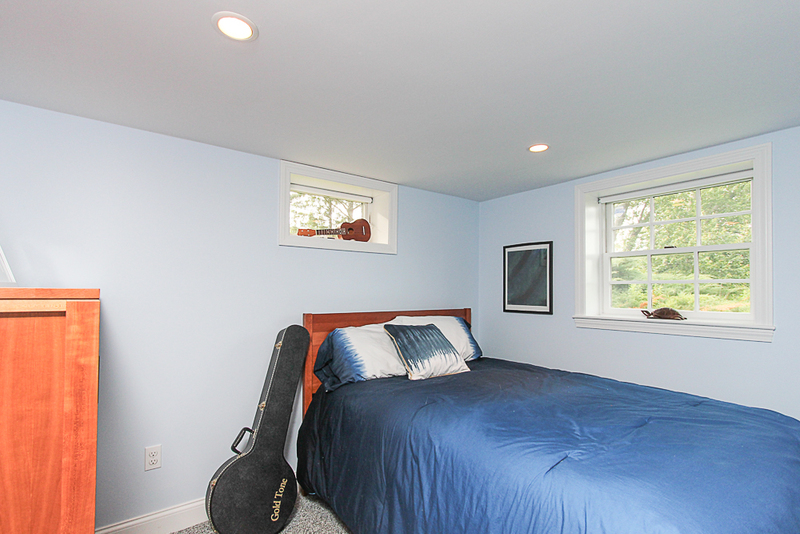 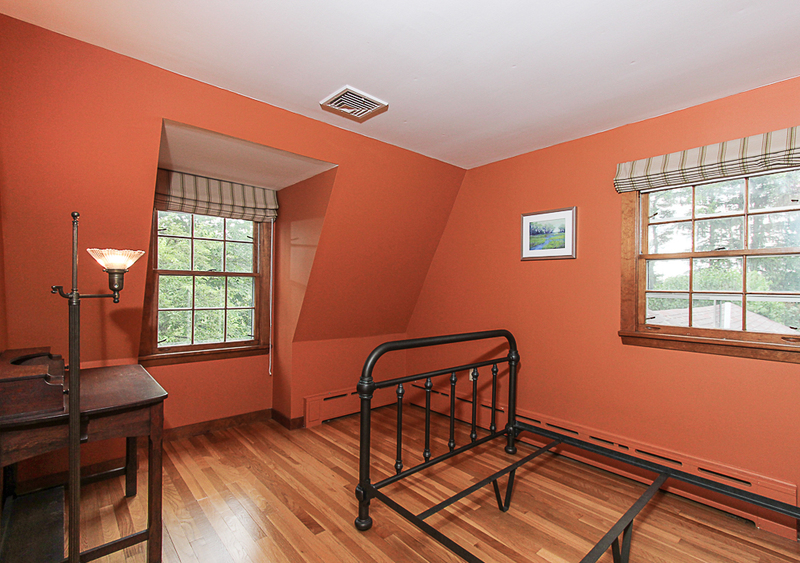 The ensuite master bedroom enjoys a picture window and custom closets. 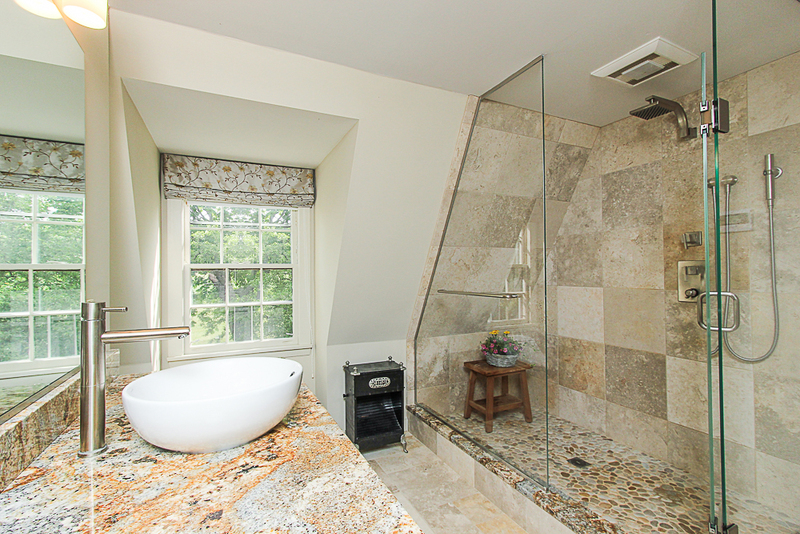 The tiled bathroom has a large glass enclosed walk-in shower, built-ins, granite counters and a private dressing table beside a window for natural light. 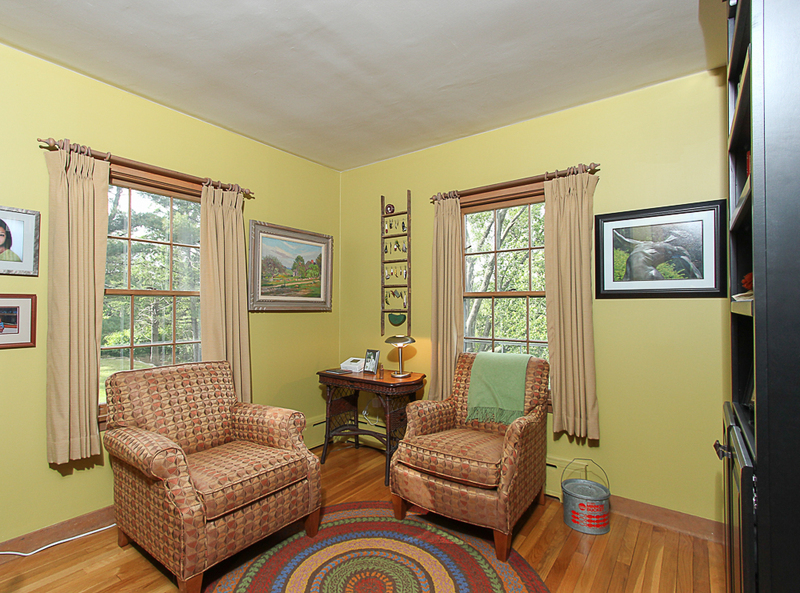 The walk-out lower level has office space, family room, a fourth bedroom and half bath. 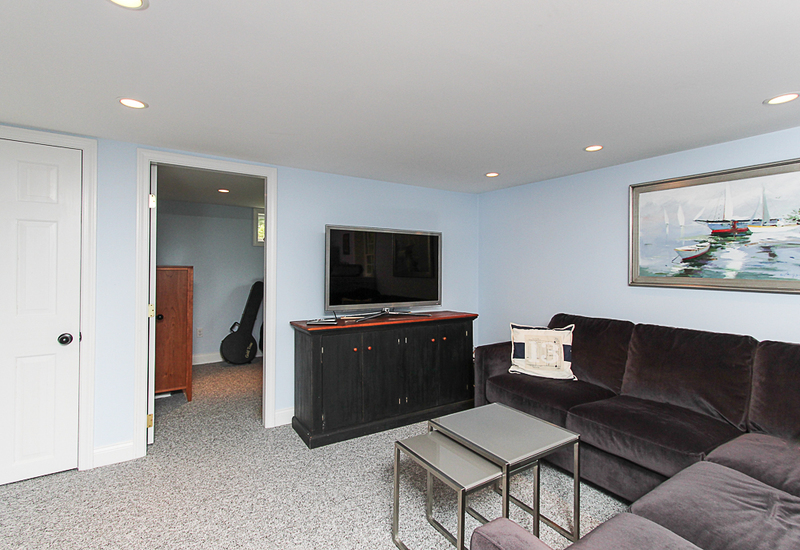 Beautifully finished with ample recessed lighting and natural light. 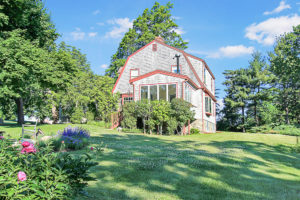 Additional features include brand new high efficiency heating with multiple zones, a whole house generator, second floor central air conditioning, and an attached two car garage. 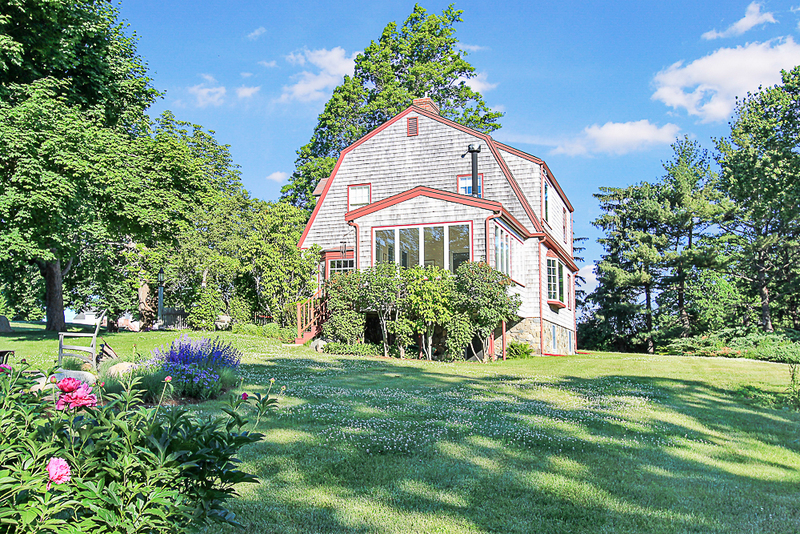 This home is a destination, a place to enjoy and relax in. 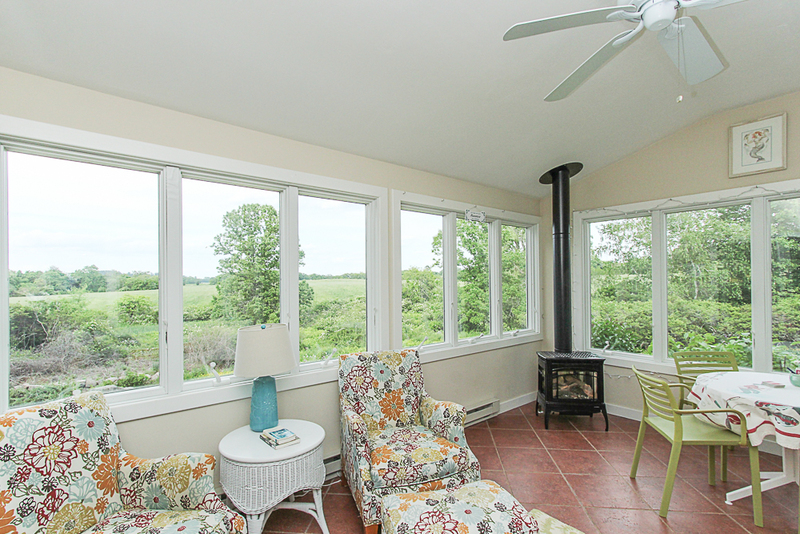 Live in it year round or enjoy it as a year round get away. 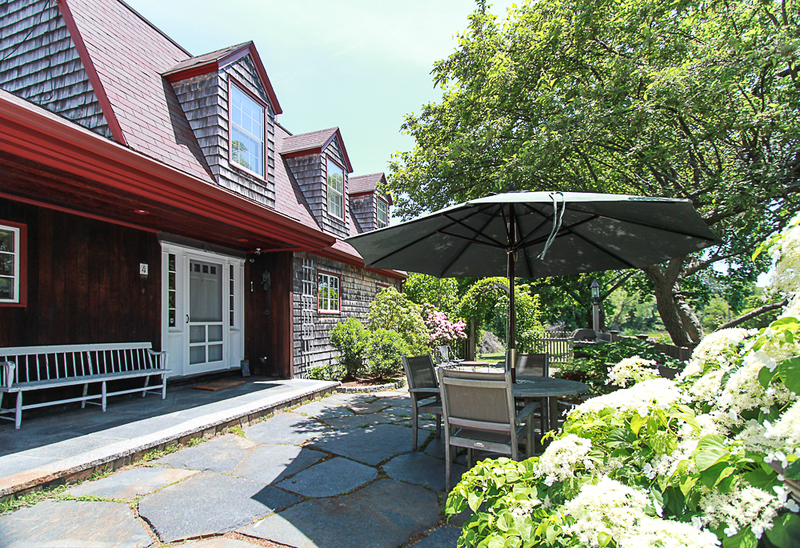 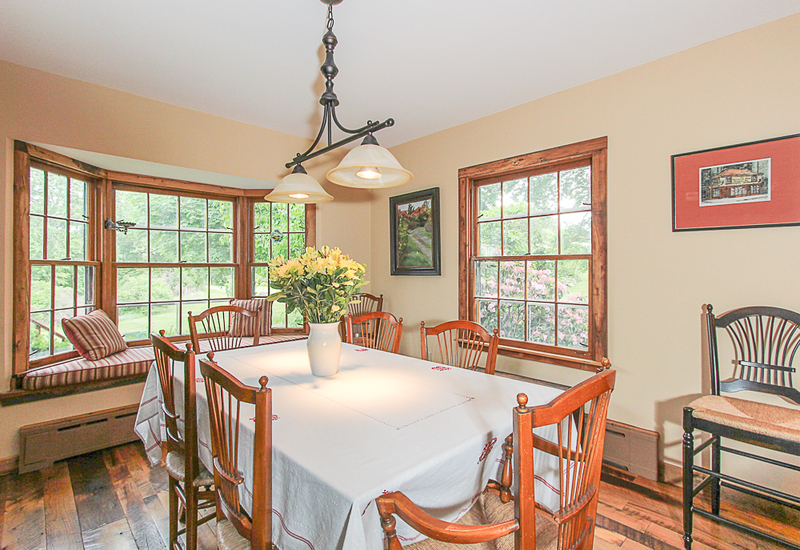 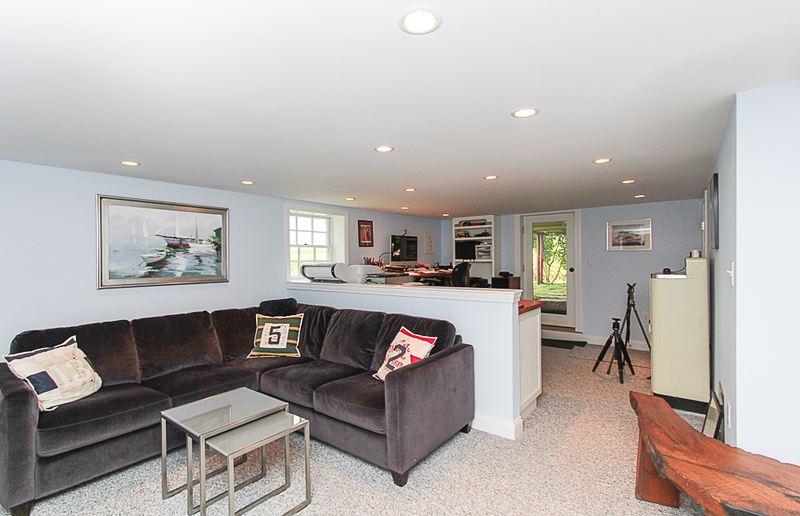 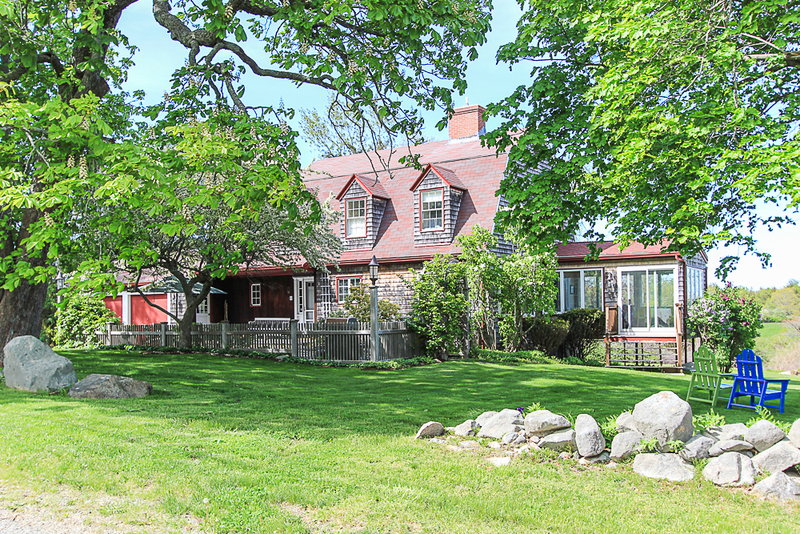 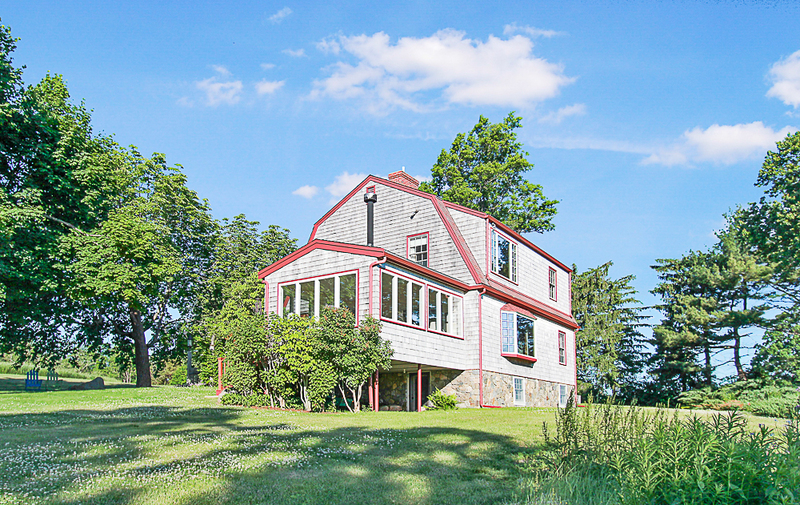 An ideal North Shore location and 45 minutes from Boston. 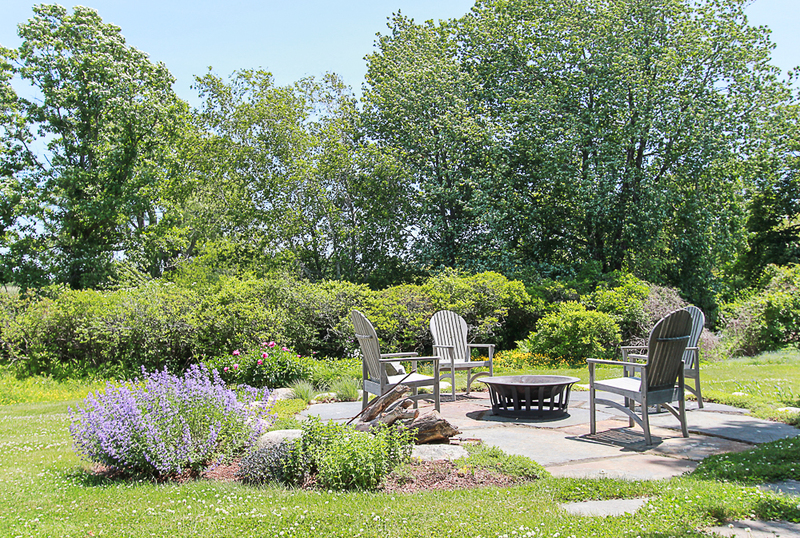 Enjoy being on Cape Ann.